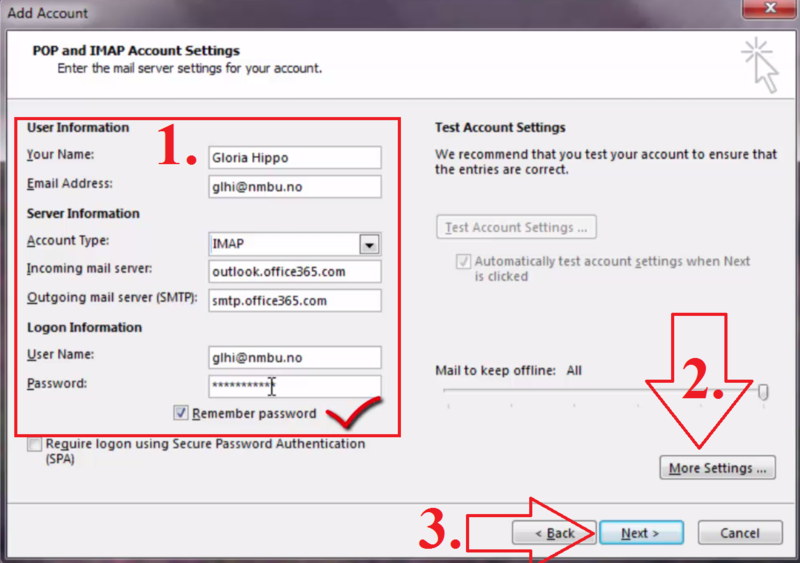 The first time you open Outlook you will be asked a question if you want Outlook to set up an email account for you. 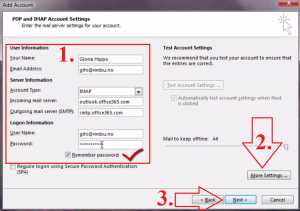 Choose that you want to do this. 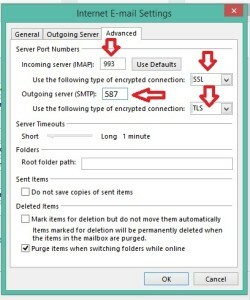 And that you want to put it in manually. 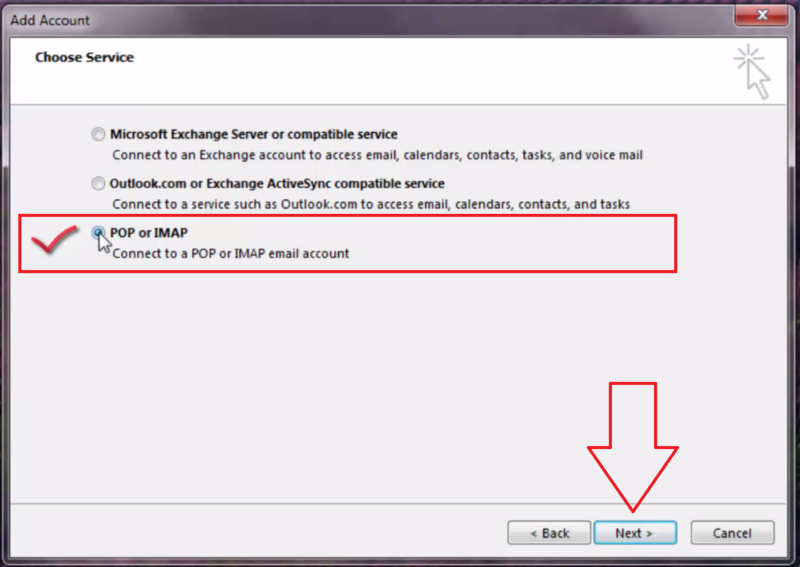 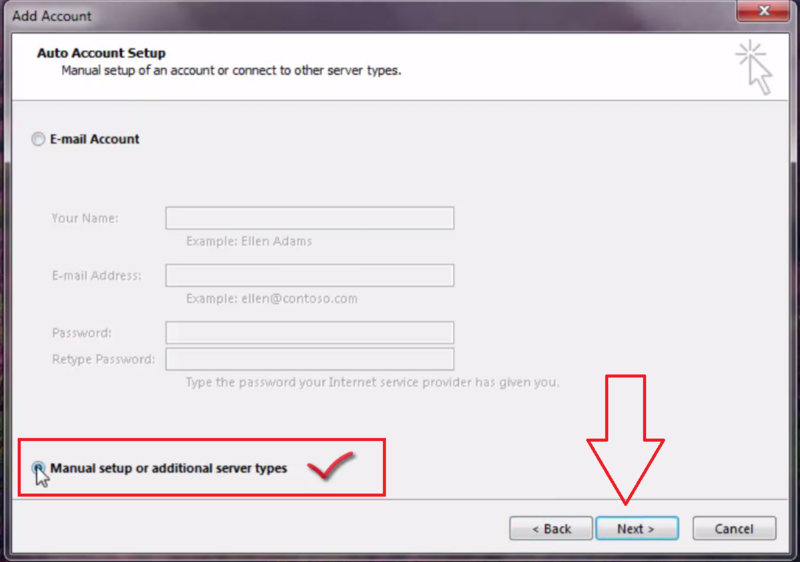 Choose to add an IMAP account. 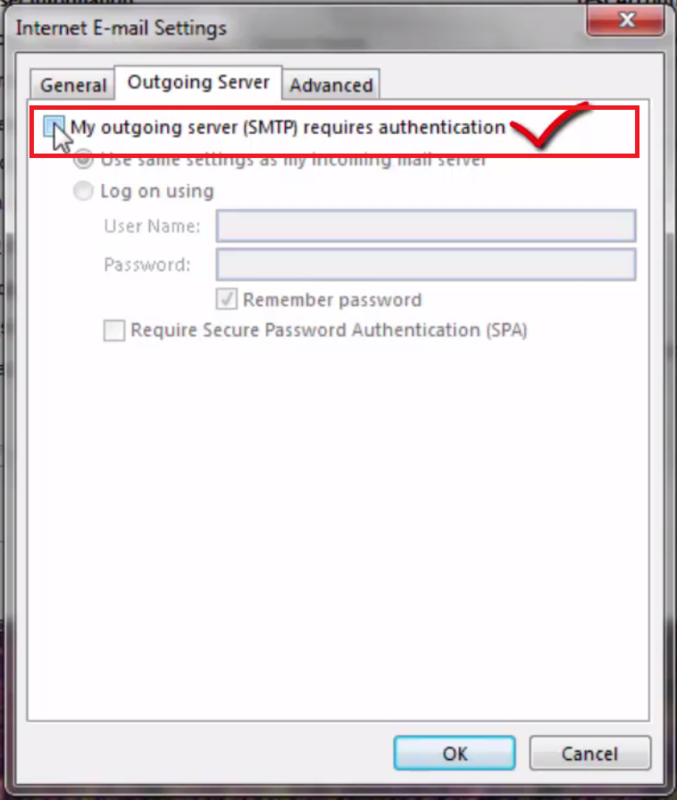 Add in your information in the next pop up as it shows in the screenshot, just remember to change the name, username and password to your own. 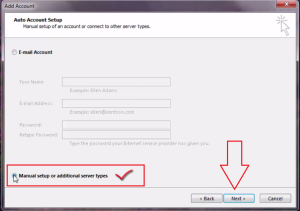 And fill in the information in the 3 next screenshots into the 3 different tabs in the pop up. 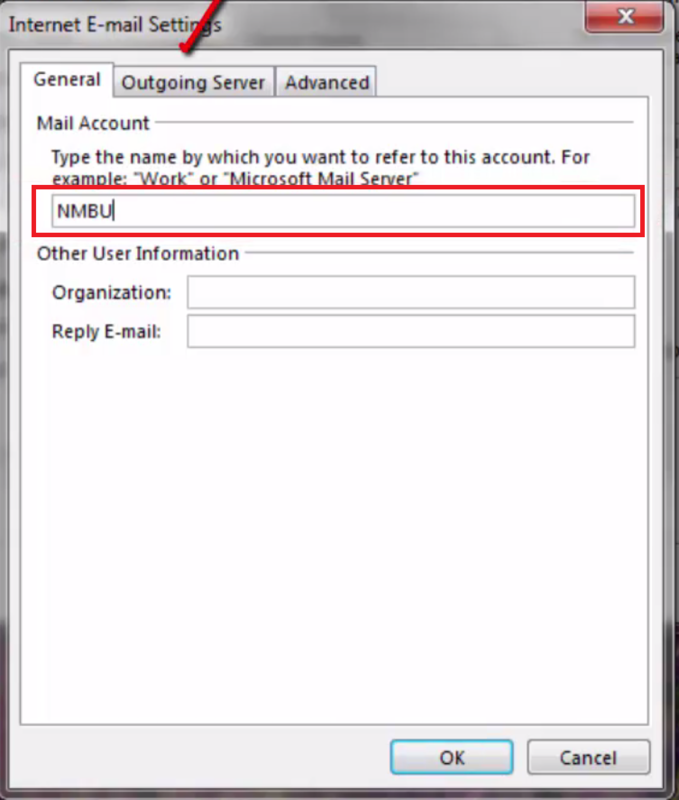 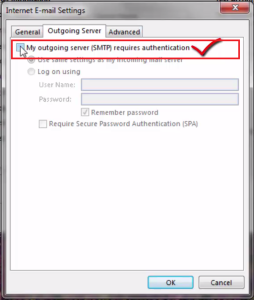 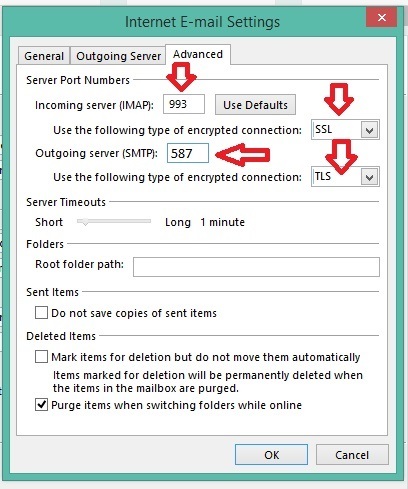 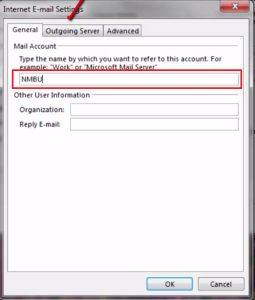 Then after pressing OK, Outlook sholud do some tests and you should be connected to your nmbu mail through Outlook. 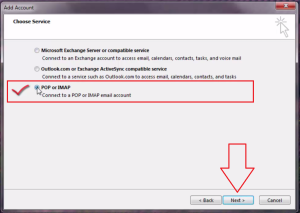 This entry was posted in IT-documentation and tagged E-mail, Office 365, Outlook, Outlook 2013 on August 22, 2014 by Adrian Stjern.